Word of the Day – "gönnen" | German is easy! It’s a nice rhyme, but also a bit of truth about human nature. And as similar as it looks and sounds to können – being able to gönnen can be REAL challenge because it means overcoming one of the strongest adversaries out there … and no nerds, I don’t mean Thanos. I’m talking about our ego. When you look up gönnen in a dictionary you get stuff like to grant or to not begrudge but they don’t really capture the core of it. Gönnen is essentially the super opposite to to envy. To “anti-envy”. I‘m fully okay with my colleagues pay raise. /My colleague’s pay raise is well deserved. This sounds super genuine and giving, even if you didn’t get a raise. Like… you would have given him the raise, had it been up to you. Maybe you can tell… I’m really struggling to capture gönnen in English but I hope you got an idea. And if not, maybe the negative helps. Ich gönne dem Schauspieler den Erfolg nicht. In my opinion, the actor doesn’t deserve this success. I wish he didn’t have it. As you can see, the negative doesn’t sound as strong as flat out saying “I’m envious”, just as the non negated version is not as strong as “I feel happy for”. 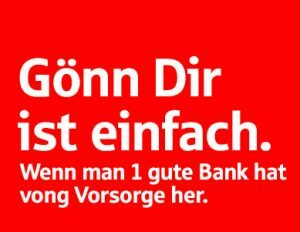 But Germans are a bit more “neutral” about expressing their feelings anyway, so (nicht) gönnen is used a lot to express how you feel about someone else getting something. And sometimes actually also for actively giving … usually in contexts of permission. Der Trainer gönnt den Spielern eine Pause. The trainer gives the players a break. And this brings us to gönnen with a self reference. Because gönnen yourself is always about giving yourself something. It works for any kind of treat, material and non-material and it is supper common… uh… I mean super common :). Der Athlet gönnt sich keine Trainingspause. The athlete doesn’t give/allow himself a work-out break. Ich hab’ mir heute mal Sushi gegönnt. I treated myself to/indulged in some Sushi today. Nach dem Erfolg des Romans gönnt sich der Autor erst mal eine Auszeit. After the success of the novel, the author treats himself to/allows himself/takes a time-out. Now some of you might be wondering where the word comes from and if there are any relative in the English language. Well, it used to exist in old English but that has disappeared long ago. It does have a brother in Swedish (unna) but overall, not much is known about the origin of the word. Either way, Germans always have been quite fond of it. 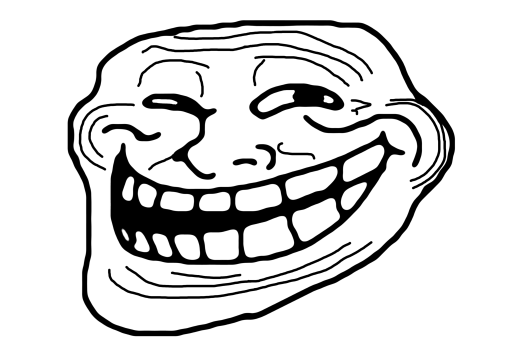 In fact it has even made it’s way into slang and… and I know this will sound crazy… a German meme. But before we get to that, let’s look at the related words. The only prefix version gönnen has is vergönnen and we can’t talk about this unless we want to get fined by the who-cares-police. The word that does matter is the noun die Gunst. In practice, the most common translation is favor but the core idea is basically the feeling someone has who gönnen you something – some sort of goodwill or something. Der Ritter des schwarzen Einhorns steht in der Gunst des Königs. The knight of the black unicorn is in favor with the king. Das Gericht hat zu seinen Gunsten entschieden. The court ruled in his favor. I seized the moment and kissed her. Missgunst ist ein Synonym für Neid. Missgunst is a synonym for envy. Now, all these examples were more or less fixed phrasings and the noun Gunst itself isn’t all that common in daily life anymore. Still, you’ll see it everyday dozens of times – as part of the very very common adjective günstig. If you’ve been to Germany or you’ve watched German ads, you most certainly know that günstig means cheap. Now, that makes sense. Something that is günstig is that something “means us well”. And günstig is not limited to money but can also express the idea of convenient or favorable. Wo kann man in Berlin gut und günstig essen? Where can you eat well for a reasonable price in Berlin? The cheapest offer is not always the best. Weil der Wind günstig steht, kommt der Pirat pünktlich nach Hause. Because the winds are in his favor, the pirate makes it home on time. There’s also a bunch of word that are based on günstig so let’s look at a few examples for those, too. They probably seem a bit all over the place, but I think with the idea of favorable, meaning well in mind they all make sense. Aschenputtels Stiefschwestern sind missgünstige Biester. Cinderella’s step sisters are envious beasts. Mit der Berlin Card erhalten Sie zahlreiche Vergünstigungen in Museen und anderen Sehenswürdigkeiten. With the Berlin Welcome card, you get plenty of discounts in museums and other sights. Hohe Luftfeuchtigkeit in der Wohnung begünstigt die Bildung von Schimmel. High humidity at home promotes/facilitates the formation of mold. But I think I hear the sirens of the wo cares police in the distance again so let’s get to what you’re all waiting for… the slang :). It’s obviously the sich gönnen that we learned earlier, only that the object is missing. If I had to come up with a translation I’d say it’s “Indulge bro’/sis’, because YOLO.” … that’s kind of the vibe. Okay, this last one, Gönn dir hart, has a REALLY STRONG teenage-y ring to it and unless your under 20 you should stay away from it. And in case you’re wondering … “Gönnung” is not a word and “vong” CERTAINLY isn’t. They’re clearly trying hard here to get street cred. Ugh… when the cringe gets too strong :). Anyway, so yeah… “Gönn dir” still is clearly identifiable as teenage slang, but it’s mainstream enough to use it with your buddies even if you’re past 25 (30 in Berlin ;). And I think that’s it for today. This was our look at the German word gönnen. Perfect picture for the phrase. This entry was posted in Audio Examples, B-Level, Broad Vocabulary, Spoken German, Verbs, Vocabulary. Bookmark the permalink. Ist das eine richtige Übersetzung vom Gedicht? Dank solch einer großartigen Lektion, bin ich mir sicher, die Bedeutung von “günstig” nicht mehr zu vergessen. Danke, Emanuel! We gift none gladly, who can, what we can’t. That’s about as short as I could make it. Maybe not exact translation but I feel like I at least caught the vibe. The sentence confused me until I thought about the missing es, wir mögen es keinem gerne gönnen soll es sein glaube ich. Once that was there it made more sense, at least to me. Gönnen Is a word I don’t think I ever heard until today but I certainly heard of it’s bretheren. Been seeing quite a bit of german media recently and the adverts have all kinds of phrasing’s with günstig in them. Was looking through Bild newspaper (bought in Poland airport) and the ads made me laugh. Günstig, preiswert, Hammer-preis und Knaller-preis all were there. That’s some quality marketing. Totally different subject but does any of you regulars here, or indeed yourself emanuel watch knallerfrauen? I’m grateful to be at a level of german enough to appreciate it. If you haven’t yet seen it go check it out. Comedy gold imo. Ramble over. Oh about your translation… can “give” be used in this sense of not actually giving but just sort of conceding? If so, then the translation is pretty perfect I think. I’m not sure about the scope of “to confess” but I feel like “admit” would indeed be better. Auch würde ich dir gerne “Happy Thanksgiving” wünschen! Das wär’s! Ich freue mich sehr dass du dieses Wort erklärt hat. Ich sehe es sehr oft and habe die Bedeutung nie genau verstanden. Danke! – In Wirklichkeit bin ich sehr eifersüchtig, denn das ist so ein nützliches Wort. “really” im Sinne von “in reality” ist “in Wirklichkeit”. “Wirklich” allein ist fast nur zur Verstärkung. Und wenn du “denn” verwendest, dann kommt das Verb nicht ans Ende. Nur bei “weil”. Zur Übersetzung… die ist wirklich ziemlich frei ;). Es klingt eher so, als ob es eine Antwort auf auf jemanden, der mit seinen Skills angibt (shows of). “We do not like to give due credit to he that can (do) what we cannot” or, less literally, “We do not like to acknowledge those more talented than ourselves”. I think Übungmachtdenmeister above has captured the literal translation most accurately and succinctly already. That one is awesome!!! Has the same intensity and lightness of tone as the original. Wilhelm Busch usually has a light, self ironic tone. The very best translation, if you ask me. As a Berliner, have you heard “Gönn dir” by any chance? Wow, hast du die Übersetzung gemacht?? “hat es ein bisschen eingestellt”… was meinst du damit? Der Satz ist komisch. 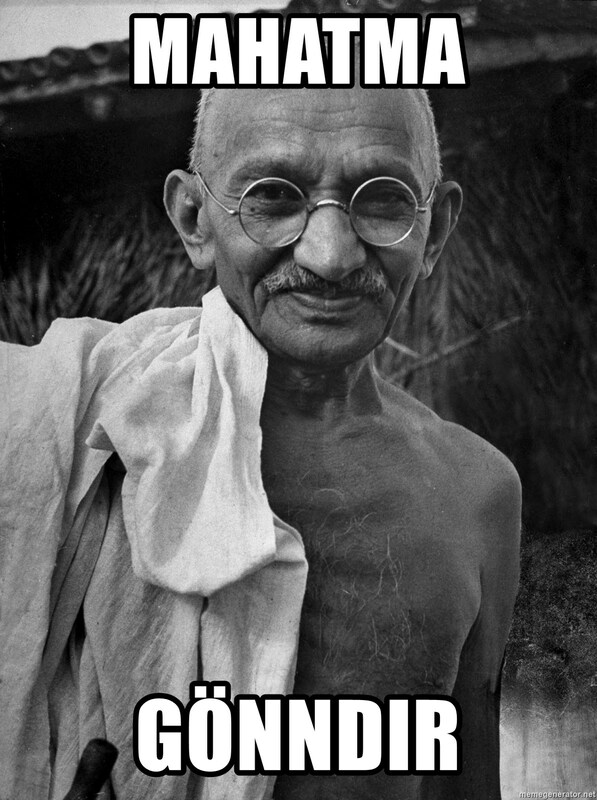 Aber ja… Mahatma Gönndir ist suuuper XD. Kanntest du das schon vor dem Artikel? I meant to say that I adjusted the meaning a little. Thought that einstellen could be used, didn’t want to use verändern, because, well, reasons? And yeah, the ausdenken bit too. Mein Deutsch ist ganz durcheinander. “einstellen” has a notion of putting something to the “correct” setting, not just a different setting. Also, it’s somewhat limited to things that have settings or sets. “modifizieren” or “abwandeln” would be good options here. And that is the word the moment is about. The younger son Faramir is trying to get his father to accept him. In German, you would say: “Er buhlt um seine Gunst.” But Denethor is completely ignorant about it. By the way, “gönnen” can be really hard. But at other times, it is rather easy. For example, when you are up ahead. Like: your team is leading by a big margin and the other team is scoring a late consolation goal (I’m talking soccer of course.) It is not hard to say that they deserved that. But when saying that, you will sound “gönnerhaft” = “patronizing”. “der Gönner” of somebody is somebody who has no obligation to but gives them money or supports them strongly in another way. Like a sugar daddy. Or a businessman who supports a young athlete. Oh, that song :)…. I didn’t remember the lyrics either but I just looked them up. So they really took a lot of liberty with the translation XD. Heey! Psst! I think I’ve found a safe place here, who-care cops will never find us. So, think you can tell us more about “vergönnen”? Hmm… okay. So it’s pretty much only used in sense of fate or reality gifting someone with something (in one moment, so it’s not for general stuff like talent). And usually it comes with a negative. – Fate didn’t let Thomas go to the concert. It sounds pretty literary though and you don’t hear it very much. Vielen dank for all donators I was registered for 1 year membership by the admin of the page. Honestly Im happy right now. Hi, can I interpreted “Gönn dir” as “enjoy yourself”? and, Are these two below express the same meaning (differnce between dürfen and gönnen)? Der Athlet darf sich keine Traningspause. “Enjoy yourself” is MUCH more general than “Gönn dir.” They do overlap in so far as that you wish someone that they have a good time, but “Gönn dir” is about giving yourself something that’s a bit special (expensive, extensive). The first sentence is wrong. “dürfen” is “to have permission”, not “to give permission” and it needs another verb. ‘I begrudge her the success’ (‘Ich gönne ihr den Erfolg nicht’). How common is “to begrudge, by the way? An idiom I think gets close to the meaning of “jmdm. etwas gönnen” is “my hat’s off to _____”. It conveys respect and acknowledgement that somebody deserves the credit or praise they get for something. Gibt es einen Untershied zwischen “günstig” und “billig”? Beides bedeutet “kostet nicht viel” aber “günstig” ist immer positiv gemeint, “billig” meistens negativ. Yes, “billig” is pretty much always used in context of money or at least worth. Günstig can also be used by a sailor for a favorable wind. And “billig” sounds a bit “cheap” as in “low quality”. People do use it in daily life, but ad companies tend to use “günstig”. Hi!! I would have one question the following sentence: Ich gönne meinem Kollegen die Gehaltserhöhung. I’m a little bit confused and don’t understand why you have used the form ‘meinem Kollegen’ instead of ‘meinen Kollegen’. I’m sure there must be some grammatical explanation which I’m not aware of.